The heart of the Côte-d'Or and the capital of the Burgundy wine region, Dijon is as renowned for its idyllic location as its historic architecture and rich cuisine, and there’s plenty to see and do in three days. Here are a few ideas. 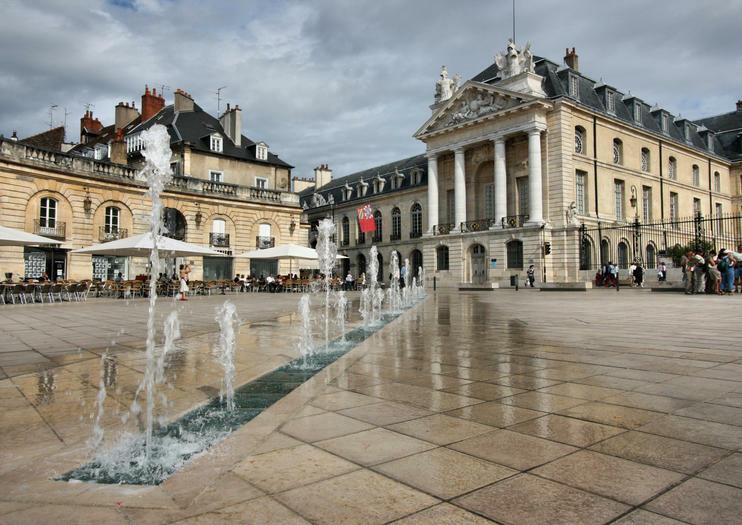 Dijon’s main sights can be easily reached on foot, and there’s even a dedicated sightseeing route known as the Owl Trail marked out with brass plaques on the ground. Start by getting a view of the city from the 150-foot (46-meter) Philippe le Bon Tower, then visit the nearby Palais des Ducs, the grand former home of the Dukes of Burgundy. Give yourself plenty of time to admire the Renaissance art on display at the adjoining Musée des Beaux-Arts, then stop for lunch at one of the lively cafés on Place des Ducs. Also worth a visit are the twin-towered Gothic St Benigne's Cathedral, the famous Notre-Dame Cathedral on Rue des Forges and the Museum of Burgundy. You can’t visit Dijon without sampling some of the world-renowned wines, and the best way to enjoy wine-tasting is on a day tour of Burgundy’s scenic Routes des Grand Crus. Head for the rolling vineyards of the Côte de Nuits and Côte de Beaune to discover the secrets of the centuries-old wine-making traditions, stopping along the way to tour the wineries, stroll through the vineyards and sample some of the region’s finest pinot noir and chardonnay. Start the day with a visit to Les Halles, Dijon’s covered market, housed in a 19th-century building by Gustave Eiffel, where you’ll find a myriad of regional produce, including local specialties like jambon persillé, oeufs en meurette, escargots and pain d’épices. Of course, you’ll want to pick up some of the city’s famous mustard as a souvenir too, and the best place to go is the acclaimed Moutarde Maille, where the many different varieties can be sampled before they are bought. Then pay a visit to the Musee de la Moutarde (Mustard Museum) to learn all about its creation. Finish your day browsing the shops along Rue de la Liberte, then settle into one of the cafés on Place Francois Rude for a Kir, Burgundy’s traditional aperitif.